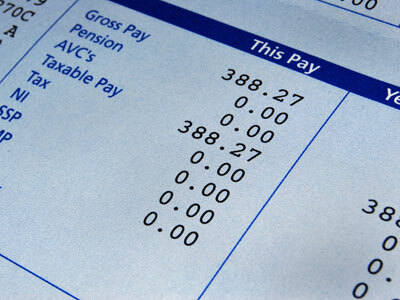 Taking control of your payroll duties may seem like a daunting aspect of running your business. If you have registered for PAYE and have at least one employee then it is your responsibility to make sure that all deductions (Income Tax, Employee National Insurance Contributions & Employer Nation Insurance Contributions) are correctly made. It is also important to be able to apply the correct tax code to each of your employees so they are paying the amount of tax that they should be to HMRC. For example if you take on a new employee you must make sure they supply you with a P45 from their previous employer. If for some reason that is not available then you will send what is called a P46 to HMRC so they can work out the reliefs then tell you what tax code to use. Payroll legislation may seem less important to some than other accounting services but it has become an HM Revenue & Customs hotspot for penalties. Payroll documents have strict deadlines for when they must reach HMRC. All above may also attract interest. These are only a few of the penalties associated with payroll, and the fact is a lot of people starting in business do not even know these documents exist never mind the consequences of not lodging them with HMRC. We believe that the best way for our clients to meet these requirements is to be very clear on what they must lodge and when they must lodge it. As a payroll service provider we have been working to these types of deadlines for many years, we have many clients who rely on us to have their statutory documents prepared and sent to HMRC when expected. Call us to arrange an appointment and see how we can help make your business life a little bit easier.